Rolling on Cochran Road near Reeher’s Camp. This October, one of America’s best supported bike rides will do something they’ve never done in their 30-year history: Take the show off-road. 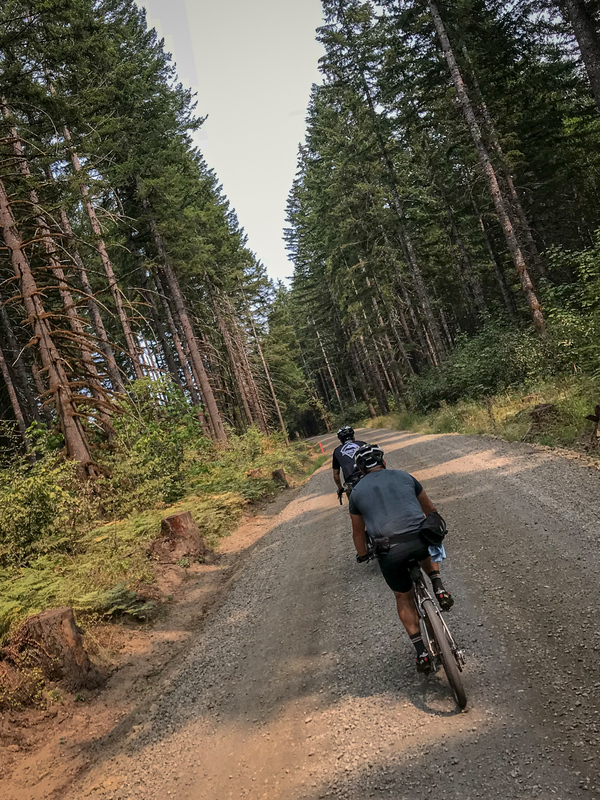 A few weekends ago I rode about 50 miles east of Portland to get a closer look at one of the routes that will be featured as part of Cycle Oregon’s ‘Gravel’ event coming October 5-7th. 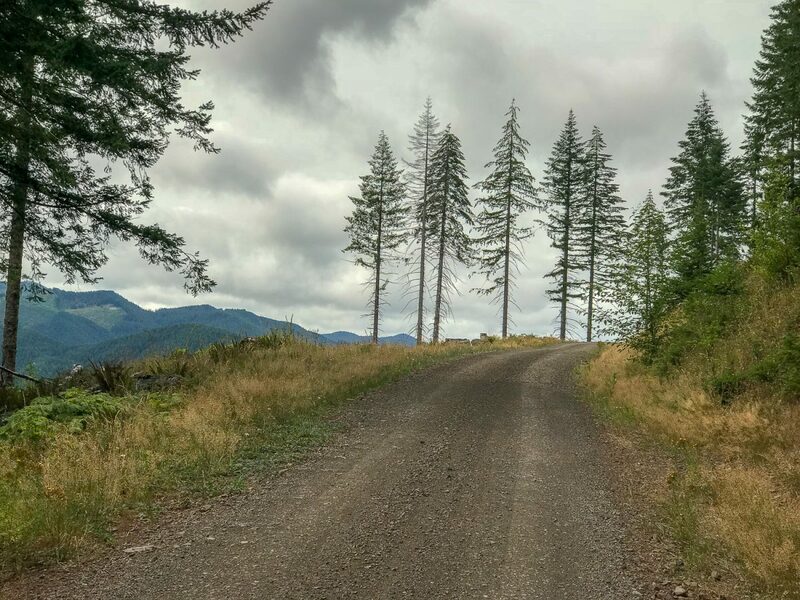 The two days of riding (or three if you choose to ride out there) will be based at Reeher’s Camp, a site built on a historic Civilian Conservation Corps camp a few miles west of Timber (population 130) at the eastern edge of the Tillamook State Forest. Lots of salmonberry bushes along the eponymously-named river that’s just a stones-throw away. 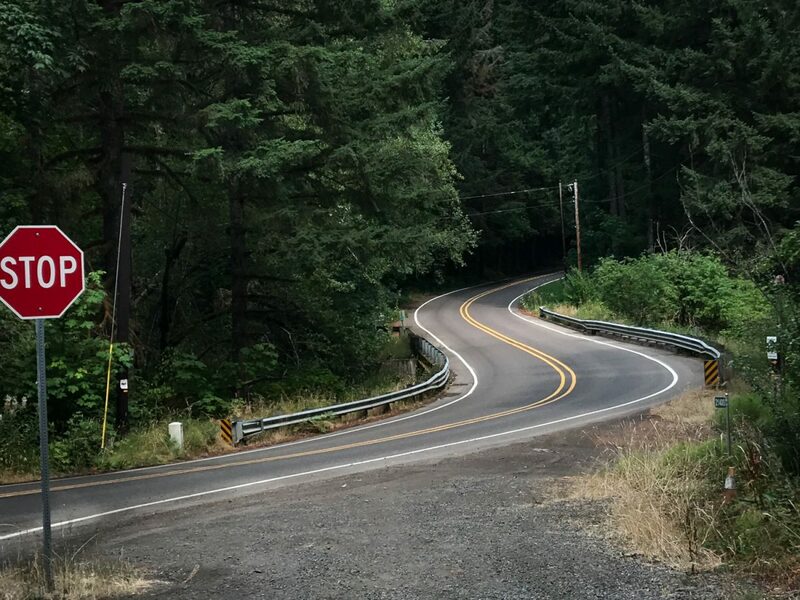 The roads around Reeher’s are quintessentially Oregon; active logging sites bordered by deep forests with rivers and creeks working their way through canyons in every direction. 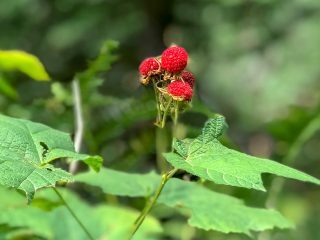 Also nestled among thick stands of berries and ferns are remnants of the old Port of Tillamook Bay Railroad that will soon morph into a new and improved Salmonberry Trail. 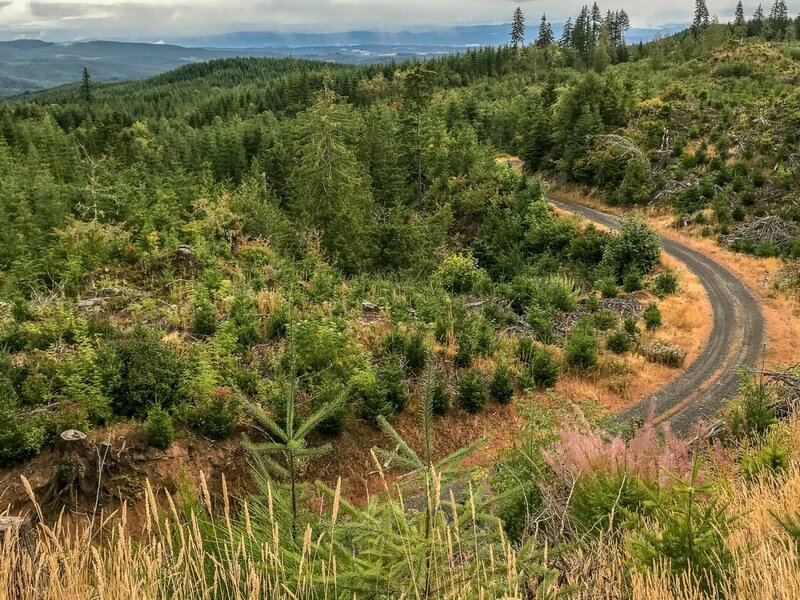 Those who sign up for Gravel will get two days to explore this area — with all the comforts of Cycle Oregon including hot showers, live music, catered meals, massages, cold beverages, and so on. 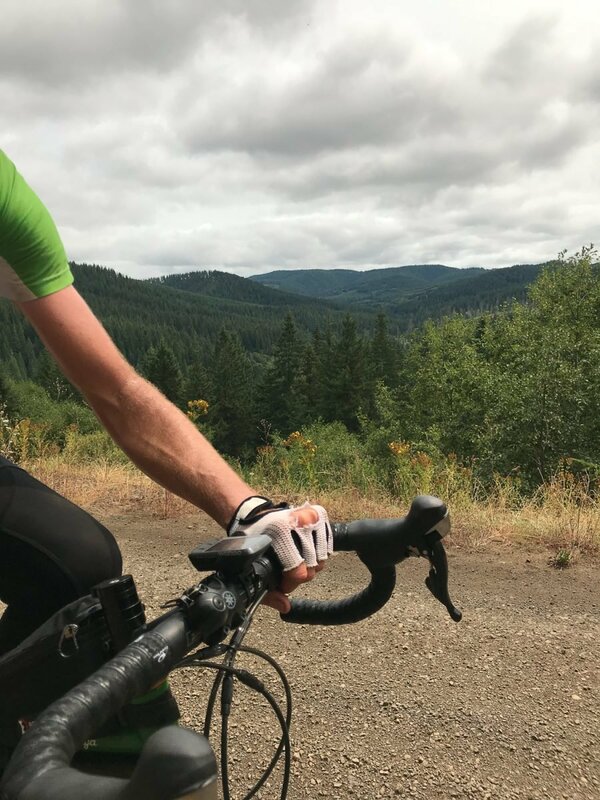 To give you a taste of what to expect (sans those creature comforts), I asked Cycle Oregon for the route coordinates and headed out. Since the Gravel basecamp is relatively close (55 miles) to Portland I opted to bike to the start. 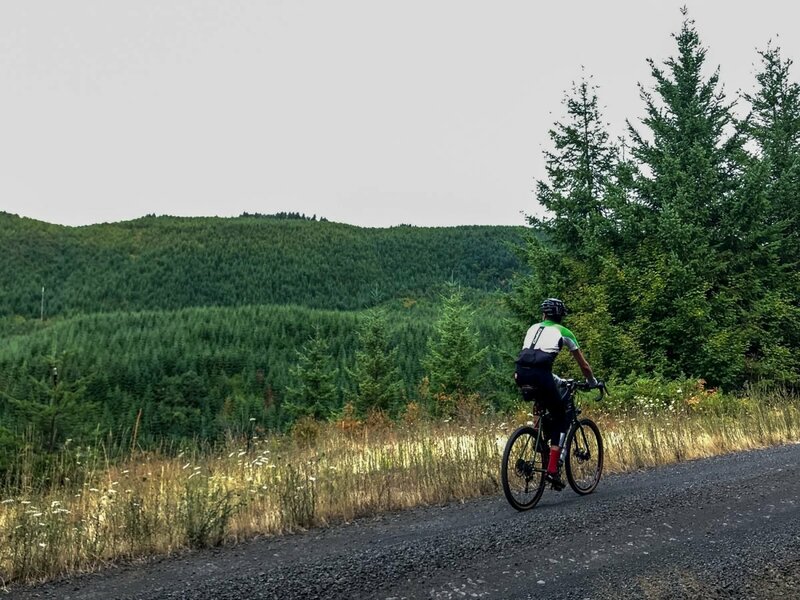 If that sounds like fun to you, the folks at Cycle Oregon have arranged a bag delivery service so you can bike out on Friday (October 5th) and have all your weekend gear waiting for you at camp. There are many ways to get to Reeher’s Camp from Portland. I chose one that’s about 50/50 paved/dirt. The Cycle Oregon Gravel loops are on the far left. View my route on RideWithGPS.com. My route took me on familiar roads north to the southern edge of Scappoose and then west via Dutch Canyon/Bacona Roads. After traversing a rocky ridge that affords views of the Cascades and the Coast Range, I made my way to the highest point of Stub Stewart State Park. 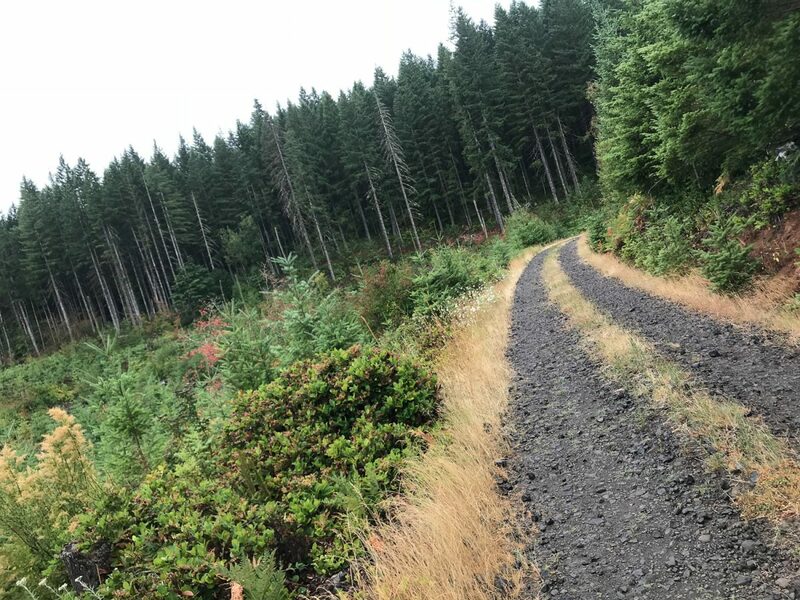 I entered the park off Hoffman Road and connected to the Shoo-Fly Trail — a delightfully challenging singletrack created and maintained by the Northwest Trail Alliance in partnership with Oregon State Parks. 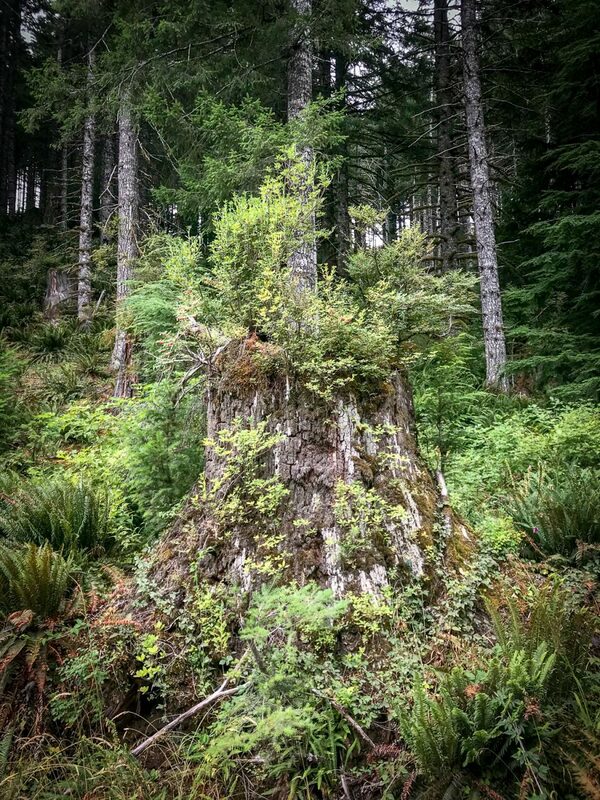 I was still pumped with trail-induced endorphins when I emerged from the woods and rolled back into civilization at the Buxton trailhead of the Banks-Vernonia State Trail. From there I crossed Highway 47 at Fisher Road and connected to NW Strassel Road which hugs Burgholzer Creek. Strassel is a keeper. 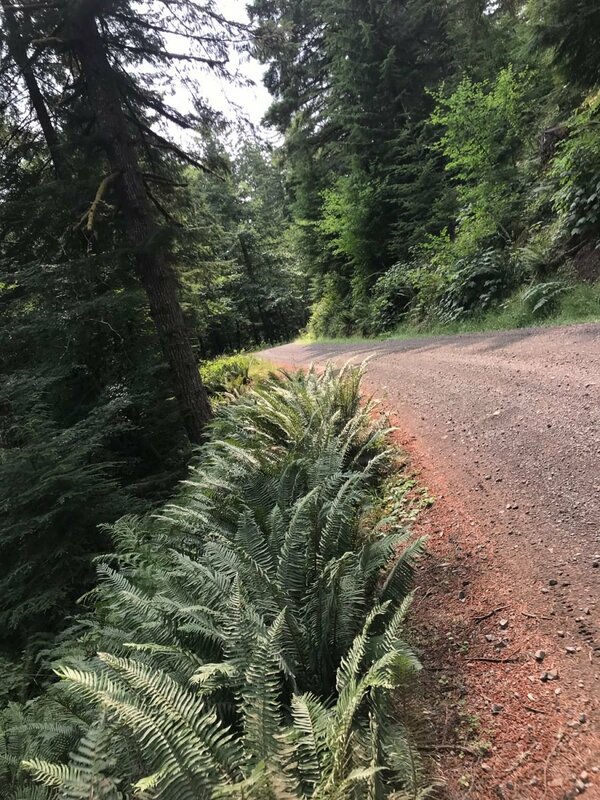 It was a quiet, winding and smoothly-graveled six miles and 1,000 feet of climbing that delivered meet right onto NW Timber Road. NW Strassel Road between Hwy 47 and Timber Road. #RoadsLikeThese. NW Timber Road is a beauty. It was nice to be back on pavement, especially a road like Timber. I headed north before coming to Cochran Road, which is sort of a main street in the small, unincorporated community of Timber. Gravel’s basecamp will be set up just a few miles west of Timber off Cochran Road. OK, so what’s the route like? 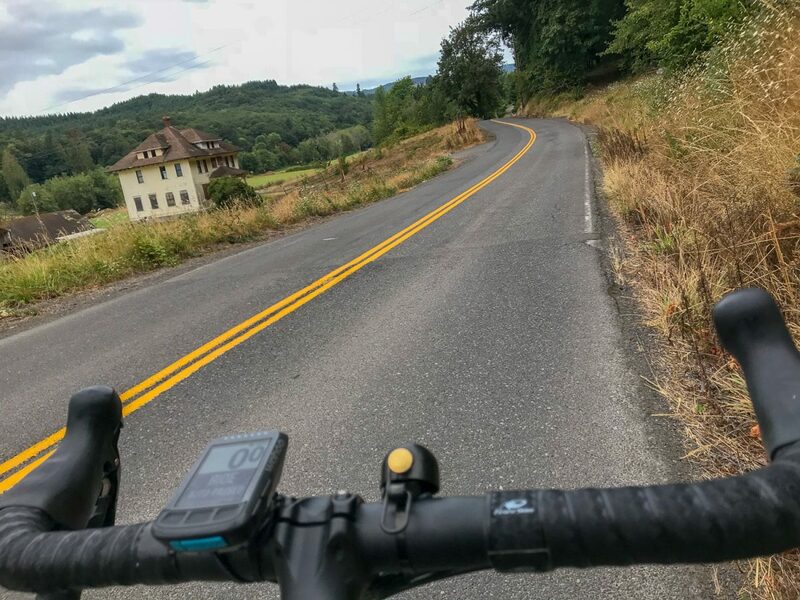 Cycle Oregon has three routes to choose from on Day 1: 15, 29, or 43 miles. 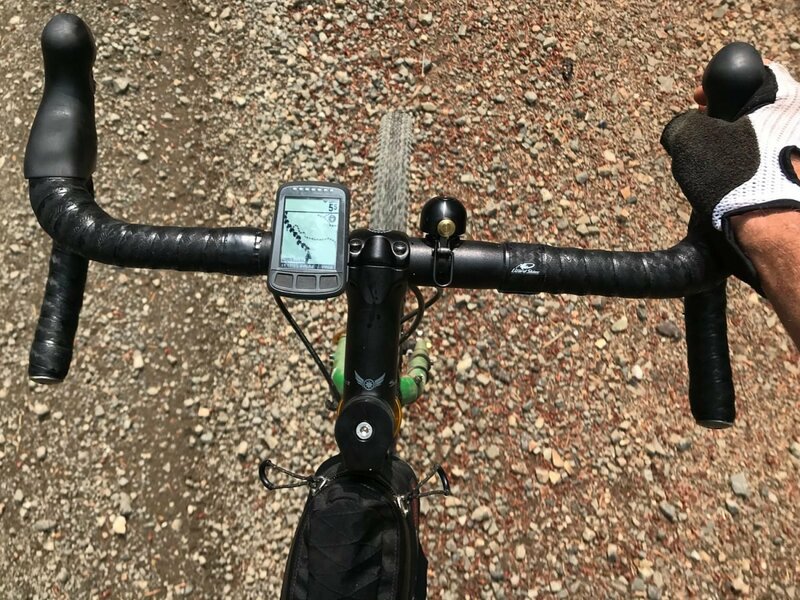 No matter which one you choose, you’ll experience some of the challenges and rewards that gravel riding is known for. 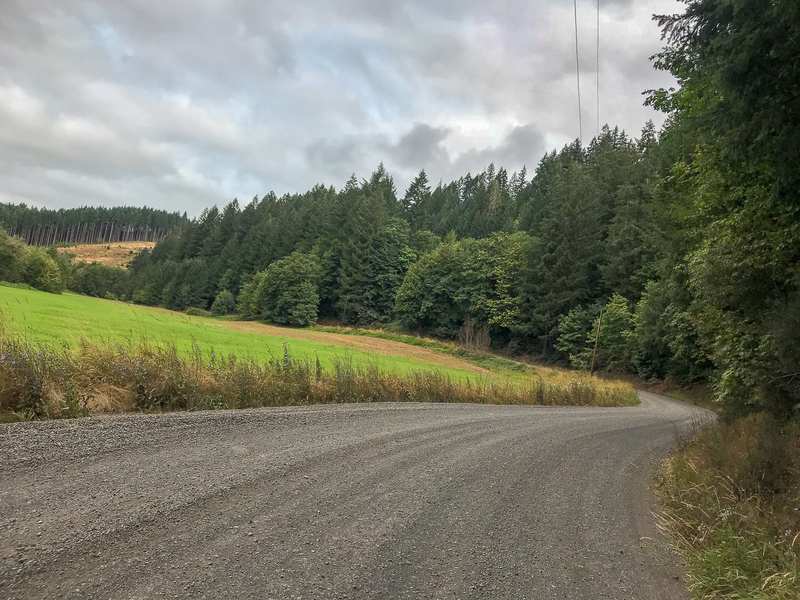 Setting out from camp you’ll head uphill and follow the Nehalem River on Wheeler Road for a 3.5-mile, 1,000-foot climb. 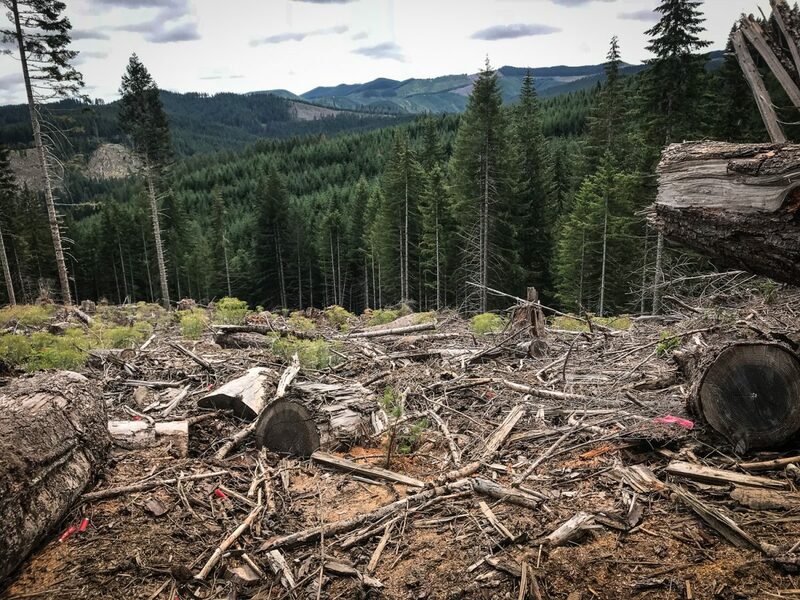 Your hard work will be rewarded as the road eventually rises above the tall stands of Douglas fir and offers inspiring views of the surrounding forest. The smooth, sweeping corners will also put a smile on your face — just watch for potholes that pop up every once in a while. Speaking of smiles, I was pleasantly surprised to see two other people out riding these roads. 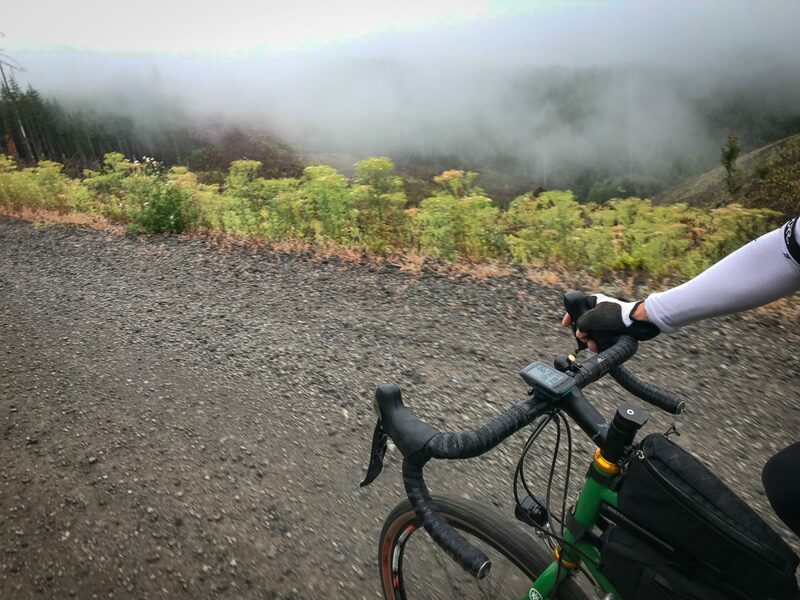 As I began to descend from the highest point on the route (at the intersection of Wheeler Pond and Salmonberry roads, 2,500 feet above sea level), two guys were pedaling the opposite direction. They’d come out from Portland and — as a testament to how good the riding is out there — it wasn’t their first time. While the topography is challenging, the terrain on the Day 1 routes was tame as far as unpaved roads go. The gravel was hard-packed and there weren’t any sections with ruts or big, chunky, sharp rocks to worry about. (Keep in mind these roads are used by private timber companies (only on weekdays of course) and conditions can change.) I had 45mm tires on my bike and they were overkill. 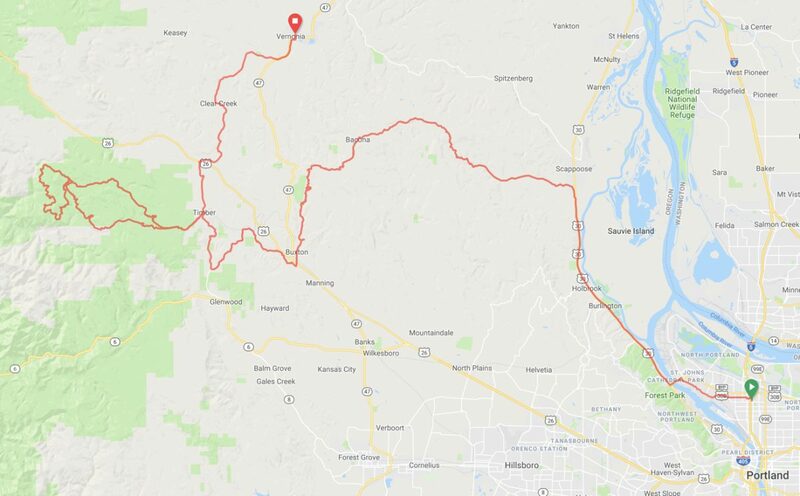 Cycle Oregon’s Operations Director Tom Simonson says some of the other roads (ones I didn’t ride) have larger and looser rocks and he says 45mm tires would be a great choice. My Salsa Vaya with 45mm WTB Riddler tires. All the Day 1 loops end with a downhill on Cochran Road back to camp. 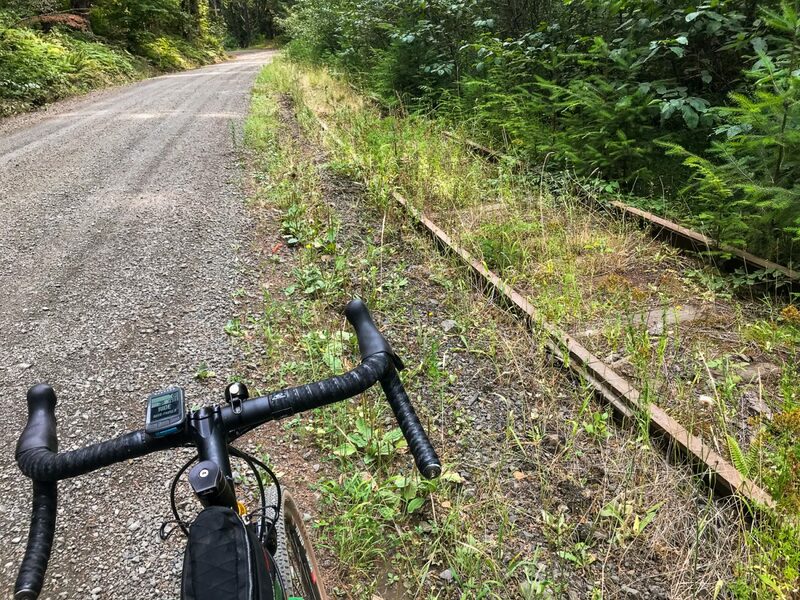 As you roll in, I recommend doing some exploring to find remnants of the Tillamook Bay Railroad. About 3.5 miles west of the finish — between the South Fork of the Nehalem River and Reliance Creek is the old railroad bridge. 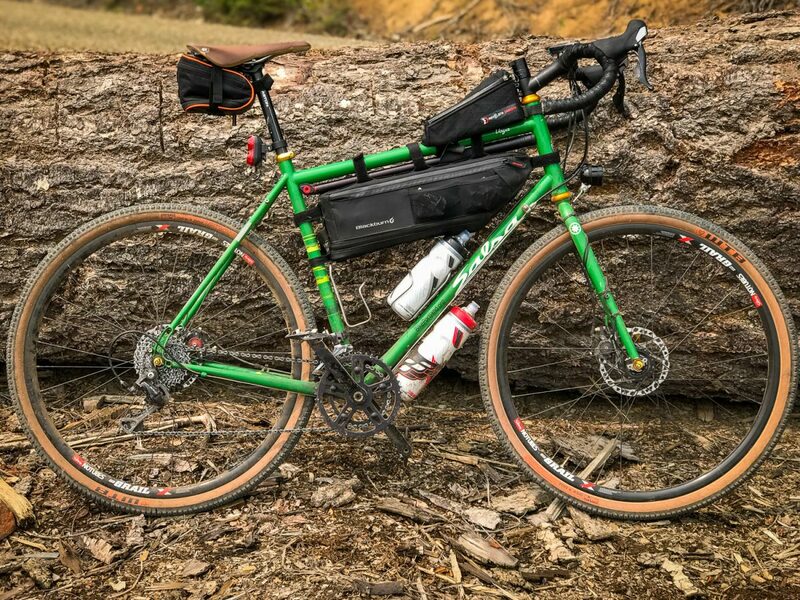 You’ll have to park the bikes and do some bushwhacking to find it. Then about 1.2 miles east of the bridge, keep your eyes peeled on the right (south) side of the road and you’ll catch a glimpse of the old tracks. Those tracks are the future location of the Salmonberry Trail — a project that is making steady progress thanks in large part to donations from Cycle Oregon. 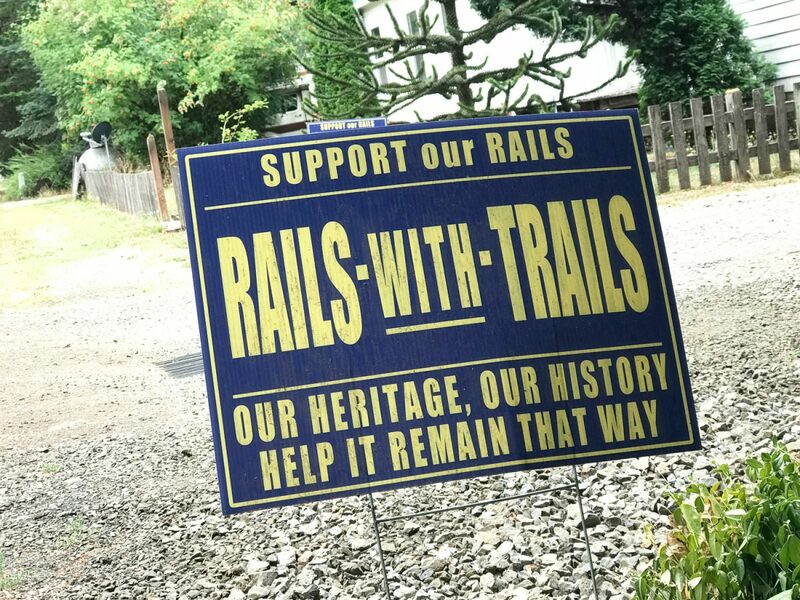 100 years-old Portland of Tillamook Bay Railroad tracks on Cochran Road. This was my first time riding these roads and I definitely want to go back. If you’ve already signed up for the Gravel weekend, you’re in for a treat. If not, it’s worth considering. These are great gravel roads and it’s practically in our backyard! One more thing. I’d be remiss if I didn’t mention that the routes aren’t easy. 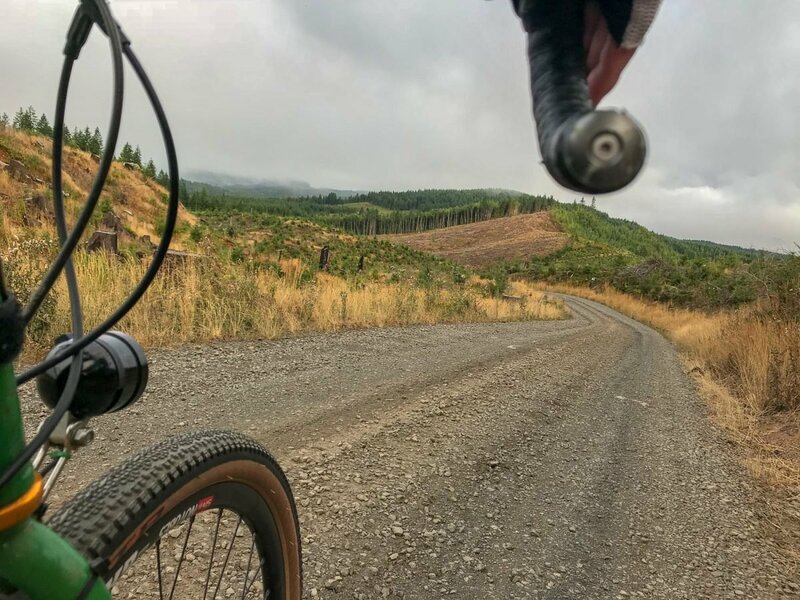 If you’re a pure roadie who has never ridden gravel, I’d strongly suggest getting some hours in to test the waters and practice before coming out to the Gravel weekend. 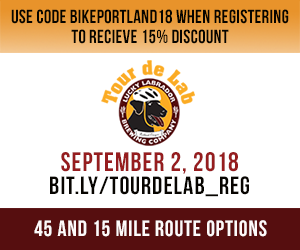 Learn more about the event at CycleOregon.com. 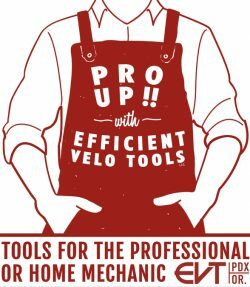 Disclaimer: Cycle Oregon is a long-time supporter of BikePortland and a current advertiser. I was not offered any special compensation for this post. 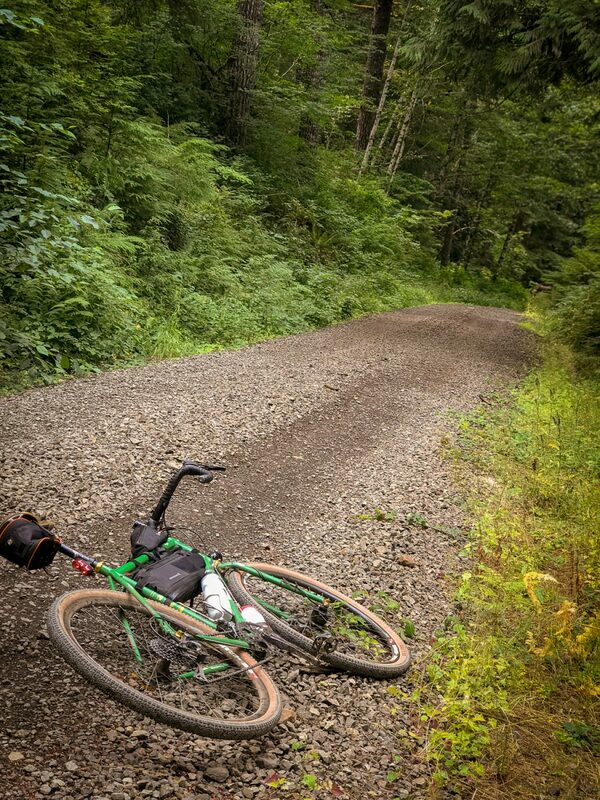 The post A taste of ‘Gravel’ in the Tillamook State Forest appeared first on BikePortland.org.